Maverick Boat Company introduces their latest model for the Cobia lineup. The 344 Center Console comes in to round out their very popular offshore center consoles lineup. The 344 features a heft 34-foot length and an 11’2″ beam. 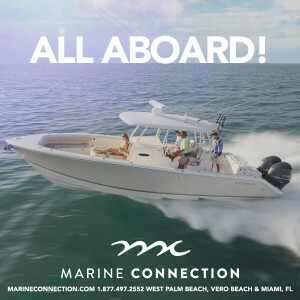 Standard features include Starboard-Side Dive Door/Tuna Door, Twin 41-Gallon Livewells, Walk-Down Console with a head, berth and lockable rod storage, Cockpit Insulated Fish Boxes, Thru Hull Windlass, Electrically adjusted Bow Table that recesses into the floor, Yamaha Digital Controls and Command Link Plus Display, Fold-Down Rear Bench Seat and integrated forward cooler. 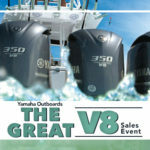 This boat can be powered by Twin or Triple Yamaha Outboards and is being offered with the optional Optimus Joystick Control, which allows for full operation via joystick for precision and ultimate maneuverability. Options include Powder Coating, Hard-Top, Outriggers, Flush-Mounted Simrad Dual Screens w/ Radar, Forward Facing Backrests & a killer Fusion Stereo 700 w/ 8 Speakers. 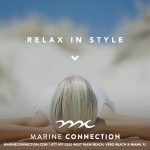 Marine Connection is the first dealer in the world to receive the 344 Center Console and it has been nothing short of a huge success. 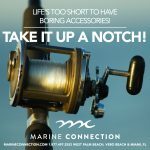 In the first two weeks since the Miami Boat Show, we have received hundreds of calls, done 7 sea trials and placed several orders already. 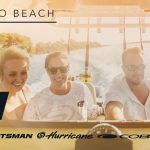 Marine Connection is rated the #1 Boat Dealer in South Florida by Boating Industry Magazine and is the #1 Dealer in the World for Cobia Boats. We serve from Vero Beach to the Keys with Cobia boats from our two locations in West Palm Beach, Florida and Vero Beach, Florida. In case you aren’t familiar with Cobia already, here is a little bit of background to bring you up to speed. 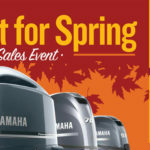 To begin with, they are built by Maverick Boat Company, the most respectable boat builder in the shallow water fishing boat industry with lines such as Pathfinder, Hewes and Maverick Boats. 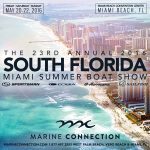 They have taken the offshore center console world by storm with their line up of offshore fishing machines from 20 feet in length to 29, and now 34 feet. The 344 CC is the culmination of over 25 years of boat building experience for serious anglers and serious advancements in design and development. Click, call, or come in today for a quote and your own personal consultation.